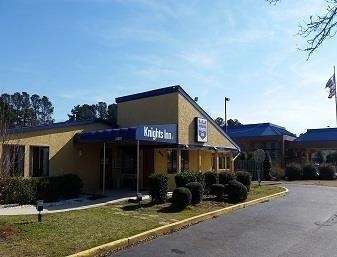 With a stay at Knights Inn Greenville in Greenville, you'll be close to Vidant Medical Center and Dowdy–Ficklen Stadium. This motel is within the vicinity of Greenville VA Medical Center and East Carolina University. Make yourself at home in one of the 58 air-conditioned guestrooms. Complimentary wireless Internet access keeps you connected, and cable programming is available for your entertainment. Private bathrooms with shower/tub combinations feature complimentary toiletries and hair dryers. Conveniences include safes and coffee/tea makers, as well as phones with free local calls. Amenities Enjoy the recreation opportunities such as an outdoor pool or make use of other amenities including complimentary wireless Internet access. A complimentary continental breakfast is served daily. Free self parking is available onsite. Plenty of restaurants. Great location. Good location. Reasonable prices. Affordable price. Good rates. Friendly staff. Managers responded quickly. Good cleaning. Out of date accommodations. Ac leaked. Falling apart dresser. Dingy sheets. Stained curtains. Dirty carpet. NO smoking room. Broken table.